Three unidentified devices running latest Snapdragon platforms 630, 660 and 835 were spotted on Geekbench. All three devices carry the name “Unknown Heart”, and are running Android 7.1.1. In late January, Nokia 5 appeared in Geekbench database as “Nokia Heart“, and considering the rumors that HMD is preparing three smartphones for introduction, these 3 “Unknown Heart” devices could be Nokia 7, Nokia 8 and Nokia 9. The most powerful “Unknown Heart” device comes with Snapdragon 835 and 4GB of RAM, which is consistent with previous rumors, apart from the fact that a Nokia 9 version with 6GB of RAM was mentioned. The next “Unknown Heart” device comes with the newly announced Snapdragon 660 and 3GB of RAM, and we believe that could be the rumored Nokia 8. The third “Unknown Heart” device has a Snapdragon 630, announced together with 660 earlier this month, and 3GB of RAM, same as the second “Unknown Heart” device. Keep in mind, this is still unverified and should be treated purely as rumors. This week we also witnessed an HMD partner publishing an official promo video for 4 Nokia-branded device, including one with a dual-lens camera. 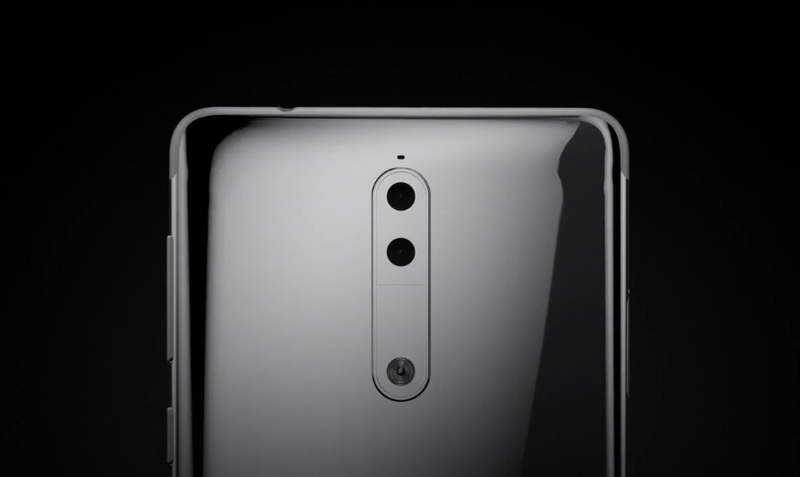 The video was taken down quickly, but the Dual-lens device is consistent with previous rumors and drawing that were leaked and found even in official Nokia promo videos. The last time we heard about the 7 and 8 was that both were coming with metallic bodies and Snapdragon 660, but the latest Geekbench results, if they are from Nokia phones, suggest otherwise. In case of the Nokia 9, we already know for months that HMD is preparing a device with Snapdragon 835, but we didn’t know and still don’t know what name will it carry. All in all, HMD is planing to introduce three higher end smartphones till the end of this year. We are still waiting for the global launch of Nokia 3310, which is available in few countries, and Nokia smartphones announced at MWC this year, the 3, 5 and 6. Is Pure Android the best choice for Nokia phones?